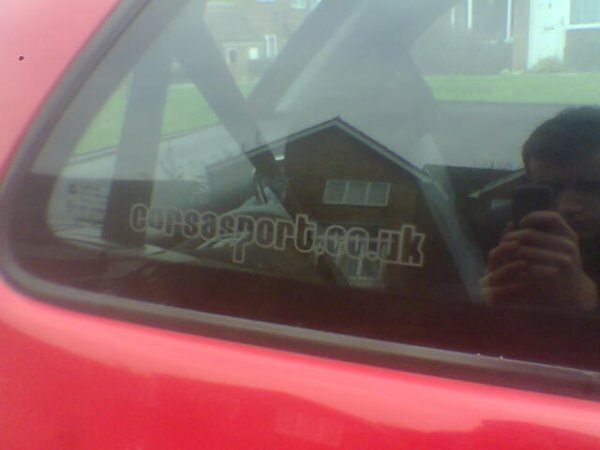 Corsa Sport » Message Board » General Chat » Projects and Builds » The '12v powaaahhhhhh!' project! - no longer mine. Author The '12v powaaahhhhhh!' project! - no longer mine. Here goes. Dad went to look at the car (as it's for driving to Uni and back, I still live at home) whilst I was at work. He then rings saying I've just bought you a car and I was like doh, it's a 12v. Anyway, turns out alright (except the power), I mean it's a GLS so got a few creature comforts!. 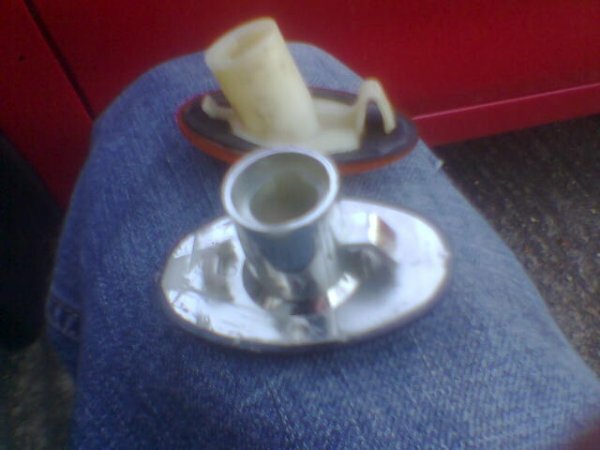 Posted on here originally as I needed advice on my idling as I thought it was idling low - turns out it was normal. Still have some birthday money left from my 18th (now 19 ) and have started buying a few bits to tidy it up and make it that bit more individual. I won't be doing anything major like alloys, lowering (although I'd like to) because of money issues and insurance. Any large amount of money I'll be spending on it is maintenance. Anywhere, here it is when it needed washing - drove in the snow on Wednesday too, so loads of salt on it etc. After a quick wash, shammy and back to black the plastics. They could look better as I just apply then rub in but apparently you're supposed to let it soak then buff. Then I fitted by badgeless grill courtesy of eBay and Irmscher 'I' badge with mounting kit from LMF. Next plans are a Frontera A aerial which should be arriving at Vauxhall Monday and a Marea rear wiper which I bought off eBay today. I also need to get the side repeaters sorted. Oh and some new number plates as the existing ones are leaking water. I would like some Depo headlights as they aren't too expensive off eBay so am planning on saving up. I might, depending on how bored I am, spray my trims a darker graphite grey colour - these could look shabby though. If any of you noticed on the front passenger side bumper corner, I had an argument with a wall when parking the front end swung out and scraped the wall. Some of it will t-cut out, others has gone right down to the black plastic so am going to repair it when the weather is dryer. I've seen a bumper repair kit at Halfords which should do the job just to tidy it up! should just get a cheap set of vauxhall rims, can pick them up for 50 or so notes, would make a better impact than the depo's imo.. This has been said to me before. I spent £200 before starting Uni on tyres though. They've only done 4k miles. I'm not going to be able to sell them for that, to get tyres to fit the Vauxhall rims. I am hoping to keep the car for 3 years, so that it will work out cheaper living at home whilst at Uni than living in accommodation. If I need new tyres in the 3 years, which I no doubt will, I'll look at some rims at the same time. And I do ideally want genuine Vauxhall alloys because it might not make a difference to my insurance. You mean buy some alloys with tyres already on them? That means I wasted £200 surely?! They way I look at it though is that the tyres cost me extra on the car, the headlights didn't. £60 for those ? Nice! Looking good Deano. Your lucky yours came partly colour coded, mine didn't and i made a dodgey job of doing it myself. The car is looking good. it would look nice with the bump stips removed and debadged maybe ? The wonders of getting a GLS gave me the colour coding - although I've seen pre-97 GLS's with black bumpers I was gutted when I swung into the wall. I am thank full the bumpers are plastic though otherwise I would have to sort it straight away. get a gsi spoiler, and debadge the boot, that will sort the rear out!! front looks fine, althought i woulda gone for the irmy silhouette badge rather than the "i" badge, depos would finish front off nicely!! and as has been said, maybe some corsa c alloys or some standard sport alloys sprayed anthracite and some light tints, and your done!! and all in all, about £500!! £500 I just do not have but they are the ideas I have had. Getting a GSI spoiler colour match will be tricky. As mentioned, I'd like to get some Depos. A Frontera aerial and Fiat Marea wiper are on their way for the rear! For £200 you could have pretty much bought a brand new looking set of corsa sxi alloys from eBay for less even. Jay - I checkout out some garages on here and some where in the same place, some where higher, especially the silhouette. Then I saw an official Irmy one on a Corsa C and it was that low. I'd love to lower it but just cannot afford it, especially with insurance etc. get the sport rims and swap the tyres onto them?? My latest mod, courtesy of Splatgraphix in colour Graphite! what size is that sticker mate?